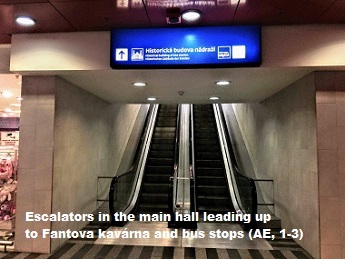 Bus companies that are using this stop: Deutsche Bahn AG, LEO Express a.s., RegioJet, Dopravní podnik hl. m. Prahy, a.s. 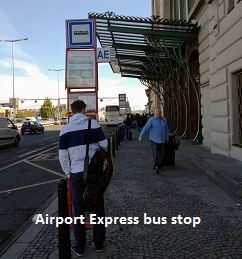 Buses stop at Prague main train station on Wilsonova street. There are stops of public transport buses and long-distance buses. 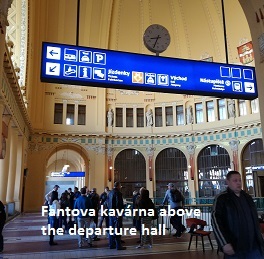 The stops can be accessed through the Fantova cafe („historical part of the building“) from the 1st platform or from the departure hall. Follow the blue bus sign. DB coaches – Deutsche Bahn express buses on way to Munich and Nuremberg. Double-check the plan with the DB logo. AE bus – Airport-Express bus to/from the airport. 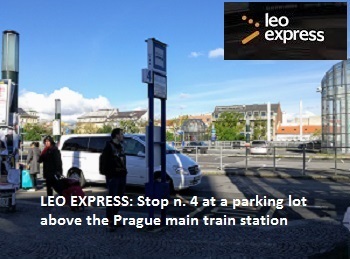 LEO Express buses buses to Budweis, Cesky Krumlov, Linz, Salzburg, Pilsen and Munich depart from the stop No. 4 (near the parking). 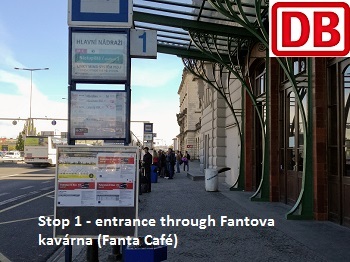 Across the street, there is the stop 3 (near Fantova café) which is used for buses to Dresden. 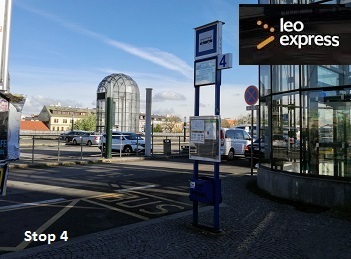 LEO Express trains use the platform 1b. Look at the plan below with the logo of the carrier.